Jackie Lu (MBA ’12) is the founder and CEO of Yem Innovation, located in Shanghai, China. Yem Innovation is a SaaS cloud platform that encourages employee innovation. 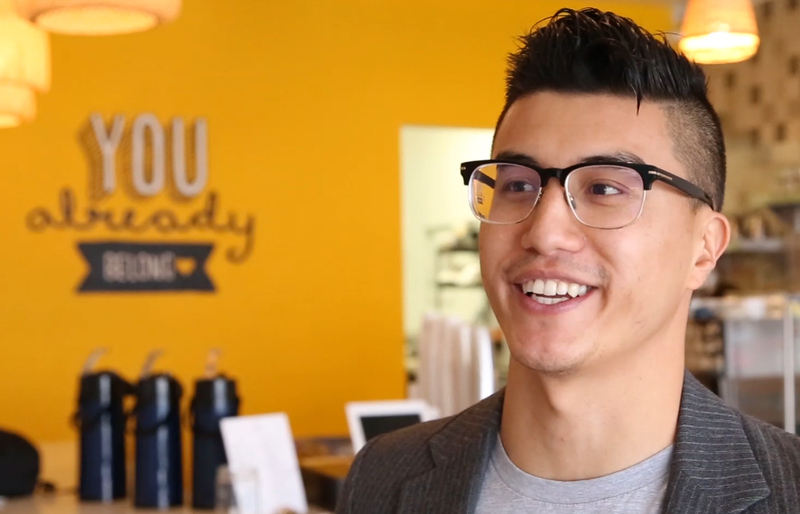 Jackie shared how his Rady MBA contributed to his journey of success with Yem Innovation. After years in a multinational and local stock listed company, I found the most important resources executives ignored is their own employees. There are huge opportunities to leverage employee talents and boost corporate profits by motivating employees. During my study and life at the Rady School of Management at UC San Diego, I learned about Marketing, Operations, Human Resources, Innovation & Technology and Lab to Market. All of these courses prepared me for launching my own business: Yem Innovation, which is a human resources SaaS cloud platform. The Yem Innovation platform can be used to stimulate, manage and monetize employee ideas, or simply put, it is a cloud platform for corporate internal innovations. The results of using our platform are three fold: to improve corporate revenues, boost employee engagement and lead a bottom-up management revolution. Has your Rady MBA enabled you to change industries or functional areas? Before I joined the Rady MBA program, I had years of marketing and corporate communications experience. With the help from the Rady School’s Innovation & Technology and HR & Leadership courses, I made the pivot from marketing to human resources. Now with Yem, I am dealing with ABC technology leveraging AI, Big Data, and Cloud Computing to monetize employee ideas. 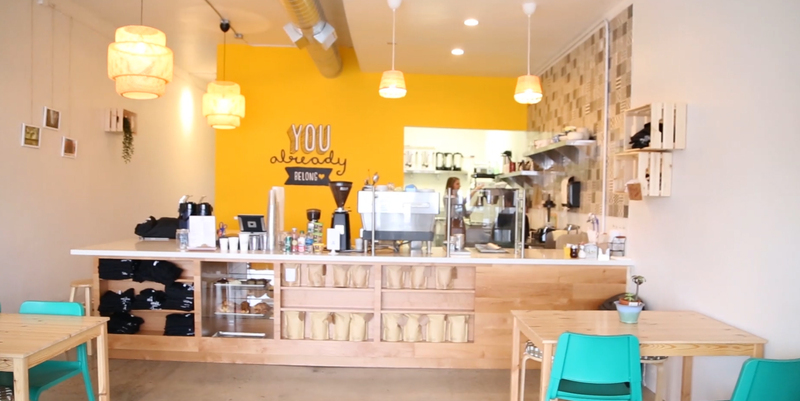 How did the Rady School help you create and launch your company YEM Innovation? The Rady School is not just about business; it is also about management. From here, I learned more about the problems of modern management. After some solid research, we found that there are six bottlenecks for corporate internal innovations, which are caused by a traditional management style. By tackling these problems, we built a human resources SaaS cloud platform to simulate, manage and monetize employee ideas. Using our product, employees can submit ideas on the Yem Innovation cloud platform, which is both compatible for PC and smart devices. Meanwhile we provide professional service and help to make the ideas happen, with the ultimate goal of creating innovative revenues to the client. Yem Innovation has been referred to as an internal incubator. Under the new era of uncertainty, we truly believe the power of enabling, and the power to unlock each employee’s potential. What makes us special is that those staff who submitted ideas are responsible to implement the ideas. When finishing the idea, employees will get 30% profit sharing, and the other 70% goes to the company. It is a win-win-win solution to drive new business revenues and to initiate a new management style of bottom up. So far, we have had a very successful case in a manufacturing industry. Our client used our platform to encourage employees to submit ideas and to implement their ideas. One idea saved 400,000 Chinese Yuan for the company. My Rady experience has helped every aspect of my business, especially when starting the new business. I needed to go through a business plan, and every class I attended during the school helped me a lot to make the business plan more reasonable, more practical and more convincing for the investors. What event or realization served as a ‘turning point’ for you during your Rady School and/or professional career? Honestly, I would say there is no turning point for me, but a continuous adaption for change. Nothing changes overnight. By learning and adapting, I found my way to start a business that is unique and innovative. All of my clients and potential investors think it is new, special, and the right time to help companies to drive innovation. Currently, we are working with Fortune 500 companies and also middle to large size local companies. We are working with manufacturing, medical devices, hospitality, and consumer goods industry companies to help their product innovation, service innovation and process innovation. We even made our own turning point by creating a feature called Inno-Cube, which is a tool to stimulate employee ideas. This set us apart from competitors. 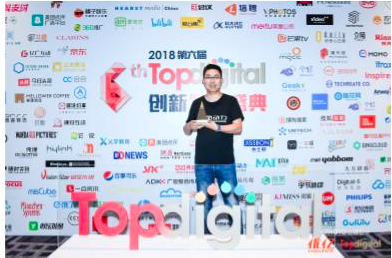 With the whole platform innovation, we were awarded the Best SaaS Provider 2018 and a Top Digital 100 Award. Why did you decide to come to the Rady School? What attracted me to the Rady School is its young, vibrant spirit and entrepreneurship. It is located in San Diego, which is indeed American’s Finest City. It gave me the chance to walk along the beautiful beaches, and I met various people to talk about Random Act of Kindness. That inspired me to create China’s First Random Act of Kindness Happiness platform: Happiness100. Happiness100 is an non-government organization (NGO), open innovation platform to collect ideas. We have only one criteria for the idea, which is to make people feel happy, and we will provide funds to make the idea happen. I feel proud to have a charity and I include this as part of Yem Innovation’s corporate social responsibility. 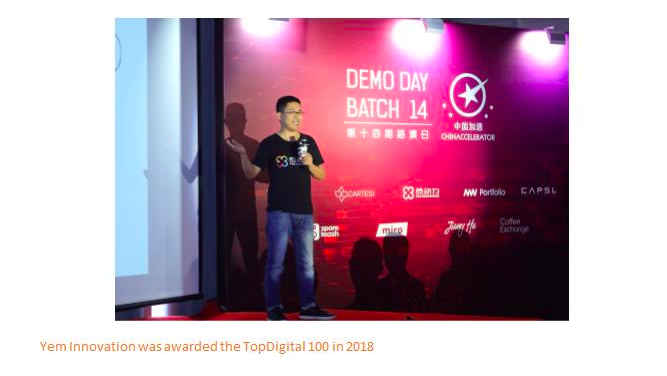 More than 10 creative projects have been carried out, and Happiness100 itself also got honorable mentions by the Ellen MacArthur Foundation, and Overseas Young Chinese Forum. What was your favorite class and why? My favorite classes are Consumer Behavior with Wendy Liu, Innovation & Technology with Kevin Zhu and Lab to Market with Del Foit. What’s funny is that because they were my favorites, I found they were also very easy to learn. How did your view of entrepreneurship/innovation change throughout your time at the Rady School? I had a much larger view of the world because my classmates were from different backgrounds and different countries. It was a small class so we had the chance to know more about each other. My peers in the class were willing to share, to help and to inspire. In my point of view, the Rady School is a perfect school to get connected to an unexpected and surprising world. The entrepreneurship and innovation atmosphere there is like a soil that inspires people to grow new ideas and create their own business. What was the most valuable thing you learned while at the Rady School? I remember the slogan years ago of our school is “From innovation to impact.” The most valuable thing is to impact, to do something to change the status quo. The goal of Yem Innovation is to change the status quo of traditional management styles, empower staff from the bottom up, and drive innovation. Instead of managing people, we change to empower people. Actually, scalability is another critical thing I learned in school. It is quite important for a business, especially for a mobile internet company like Yem Innovation. Because of our scalability, we got investment from an angel investor and also from SOSV last year for nearly one million Chinese Yuan. 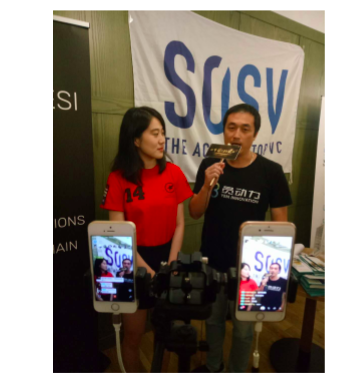 SOSV is an accelerator VC that manages $500 million USD worldwide. Another benefit of the Rady School is the ability to network and collaborate. 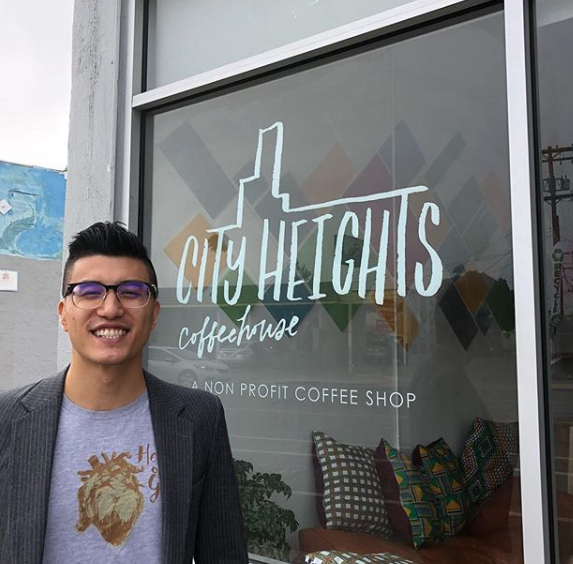 For example, alum Jason Qi (MBA ‘16) is our COO, because we knew each other as alumni. He was also the vice president of the Rady Student Board at that time. Without the Rady School, I would not have found a brilliant alum and team member like Jason. How have you applied your studies to your career? I applied human resource and technology, especially cloud technology, to create my new business. In some ways, I would say innovation is not that hard. Innovation is just a new arrangement of two old elements, which is how we created the one-of-its-kind Inno-Cube feature to stimulate employee ideas. I believe newcomers at the Rady School can also apply any two-field knowledge to create their own new business after they graduate. What is the best thing about being a Rady alumni? Since the Rady School is a young school, there are advantages of being young. I feel strongly being part of the growth and I could witness its growth every single day. Thus I feel more engaged with the school and more engaged with the university alumni too, since UC San Diego is also a young university established in 1960. I always feel proud to say Go Tritons! Rady School of Management students compete in a number of pitch competitions, presenting their startup companies to panels of entrepreneurial experts with the hopes of securing funding for their venture. But a recent competition had Rady students on the other side of the table, serving as venture capitalists looking to invest in the next big thing. The Venture Capital Investment Competition challenges business school students with evaluating startup companies and determining their feasibility, scalability and profitability. Teams are given a pitch deck to review prior to the competition, and are tasked with completing their due diligence, including evaluating the market potential, business model and funds raised to date. On the day of the competition, companies pitch to the panel, who are judged on their ability to assemble a team of experts and on how they evaluate the companies. Inspired by a desire to learn more about the world of investing, Andrew Engram (MBA ’19) created the Venture Capital Club to prepare for the competition and create a network of venture capitalist-hopefuls at the Rady School. “We’ve covered the concepts related to venture capitalists in our courses here at Rady, but a better way to learn about a concept is to apply it to real-world situations,” he said. The team – composed of Engram, Ehsan Amozegar, Joseph Baini, Sairam Chitneni, Adam Stallings and Jerry Skefos — was the first-ever contingency from Rady to compete in the Venture Capital Investment Competition. With help from Rady School entrepreneurial experts Kimberley King and Lada Rasochova, the team devised a strategy on how to approach pitch sessions from the other side of the table. The team traveled to the University of Southern California to compete against five leading California MBA programs. They were tasked with assigning each member of the team with a role that would be represented in a typical venture capitalist firm, so each member assumed a persona for the day – a biotechnology expert, a lawyer, an angel investor and more. The company Elm Capital evaluated was Voluware, a cloud-based workflow optimization and automation solution for administrative healthcare transactions. Using this knowledge, the team adjusted their strategy to include new personas to fit the needs of the company. In addition to understanding venture capitalist-affiliated terms, the team was judged on their ability to command the room. 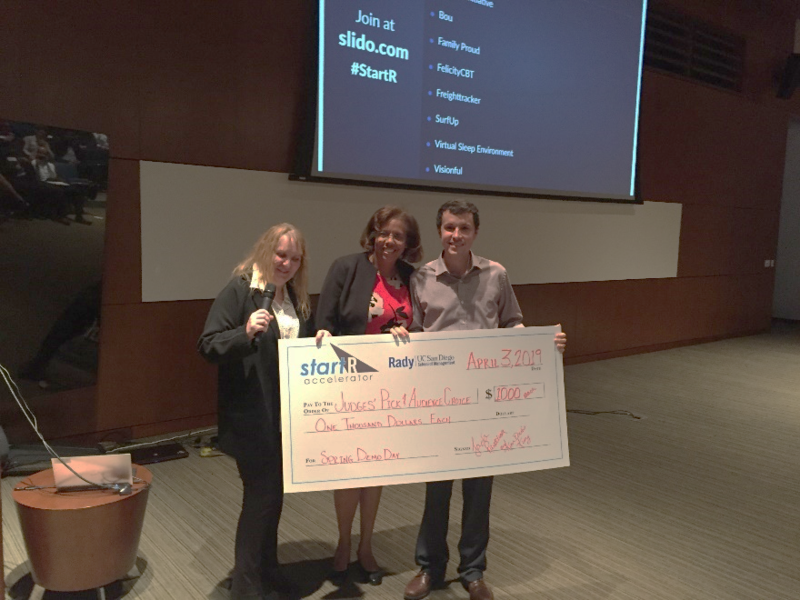 The Rady team was able to ask questions after the pitch and the judges – a group of celebrated venture capitalists, lawyers and angel investors – grilled the team on their knowledge of the process. Although the team did not advance to the next round, they believe the experience was worthwhile. 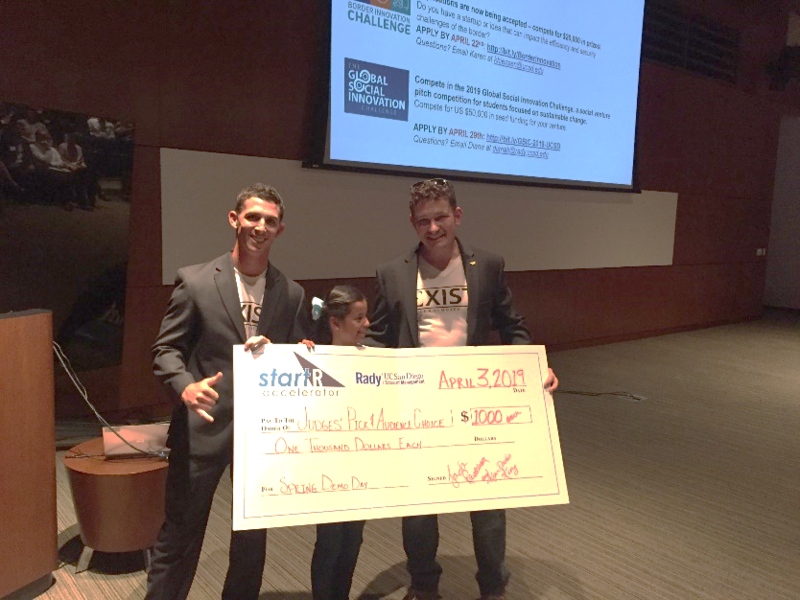 The development of a new Rady School club was also a positive attribute of competing in the Venture Capital Investment Competition. 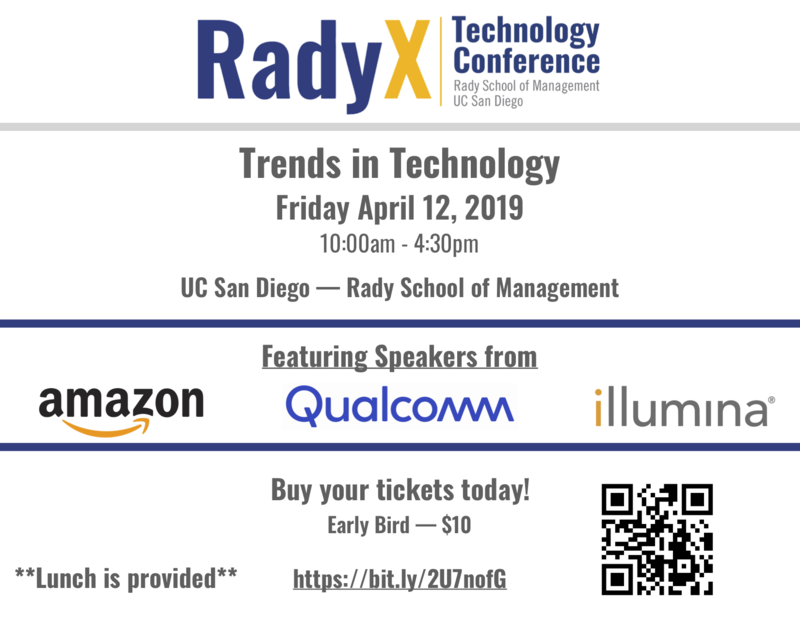 Join leaders from prominent technology companies, including Amazon, Qualcomm and Illumina at the annual RadyX Conference – a conference completely run by Rady School students. Now in its fifth year, the RadyX Conference is committed to bringing innovative and disruptive companies to campus to share the ways they are shaking up their industries and changing the business landscape. A keynote address will be delivered by Durga Malladi, Senior Vice President and General Manager, of 4G/5G at Qualcomm Technologies, Inc. His talk will center on the development and implementation of 5G – the fastest high-data transfer rate that will enhance broadband services and mobile networks. In addition to Malladi’s address, speakers will focus on the development of genomics, the direction of gaming services, self-driving robot artificial intelligence and more. RadyX is hosted by the Rady Tech Club. The conference brings together a diverse community: faculty and students, the business and engineering campuses, entrepreneurs, investors and corporate professionals. The theme of the 2019 conference is “Trends in Tech,” which will explore a number of topics ranging from subtle to prominent trends in technology. The conference is open to the public. Tickets can be purchased here. The event will run from 10 a.m. to 4:30 p.m. on April 12 at the Rady School of Management. Durga Malladi joined Qualcomm in 1998 as a Senior Engineer. Over the past 20 years, he has worked on 3G and 4G technologies, and was the Project Engineer of 4G LTE-Advanced in Qualcomm Research from 2008-15, responsible for features such as mobile broadband, Carrier Aggregation, HetNets, Relays, Dual Connectivity, Licensed Assisted Access (LAA), Internet of Things (eMTC, NB-IoT) and Cellular V2X. As SVP & GM 4G/5G, he is responsible for cellular modem and location businesses, baseband and transceiver modem technology roadmap, features, software products, and infrastructure and operator commercial engagements. He is the recipient of Qualcomm’s IP Excellence Award, Qualcomm Distinguished Contributor Award for Project Leadership and Upendra Patel Achievement Awards for Outstanding Contributions to HSPA and LTE. Durga holds a B.Tech from Indian Institute of Technology, Madras, and an M.S and Ph.D. from UCLA. His research interests include Signal Processing, Communication Theory and Artificial Intelligence. 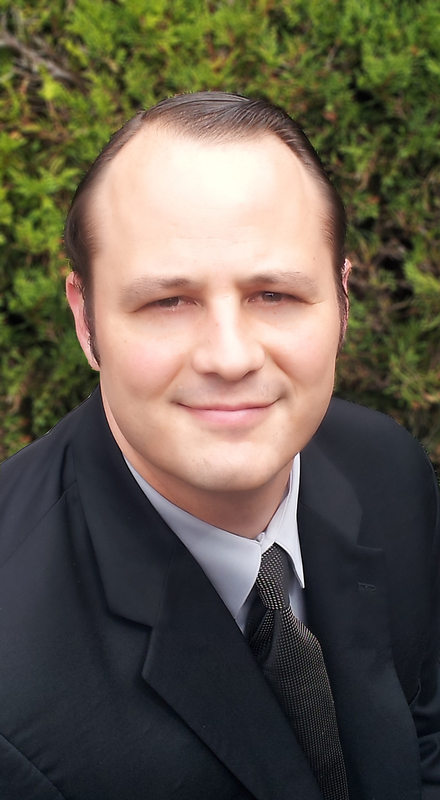 He is a member of IEEE and holds 420 U.S. patents. 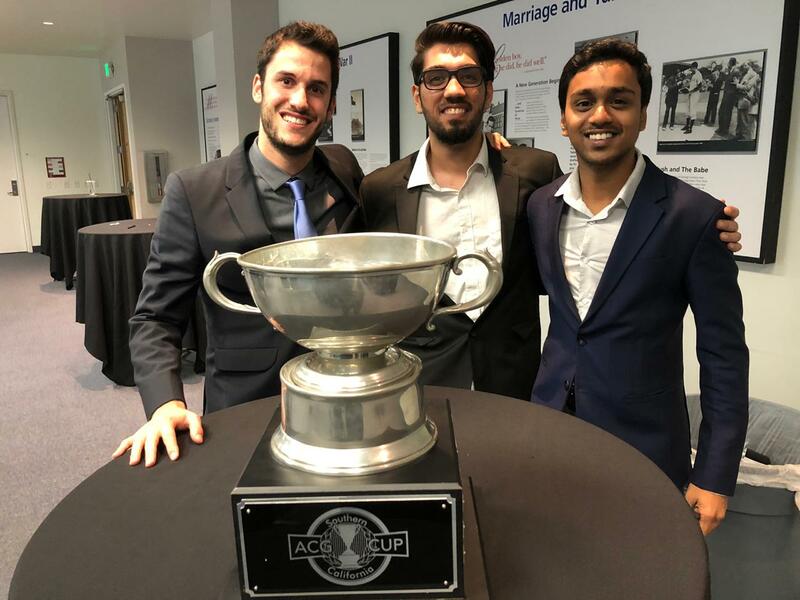 A team of Rady School of Management Master of Finance students recently headed to Irvine to compete in the ACG Cup – a case study competition hosted by the Association for Corporate Growth. 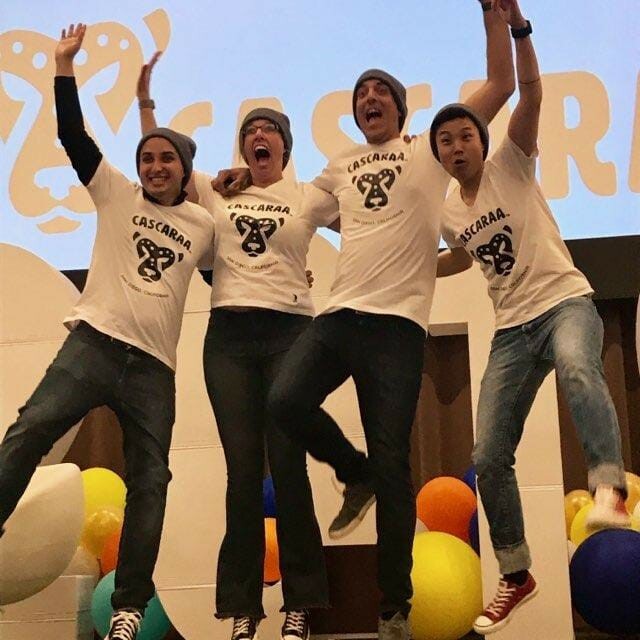 Nine teams from leading business schools across Southern California gathered to compete for the $10,000 prize awarded to the team with the best business plan. The task? To present valuation, capital markets, and merger and acquisition strategic advice to a panel of seasoned industry professionals affiliated with the ACG. The Rady School team was comprised of Sairam Chitneni, Ishaan Khanna and Jason Kleideris, all members of the 2019 Master of Finance cohort. In order to qualify for the competition, the students competed against three other Rady School teams to see which team had the best presentation for solving a complex investment banking strategy. Local ACG members judged the four teams based on the strategy, implementation plan and presentation, selecting Chitneni, Khanna and Klederis as the finalists. Once the finalists were selected, they were given a case study to complete in one week. The real-world relevance of the competition is what inspired Khanna to get involved with a team. To prepare for the finals, the team members enlisted the help of members of the Rady community. Professor William Mullins helped guide the team in the right direction, providing invaluable insight into empirical banking and corporate finance. Professor Jeremy Bertomeu also supported the team by helping with some of the harder theoretical problems in the case. In the first part of the competition, the team had a pristine report, but lacked the presentation skills to deliver a clear and concise report of their findings. Robert Schmidt, a lecturer at the Rady School, helped the team fine-tune their presentation skills. 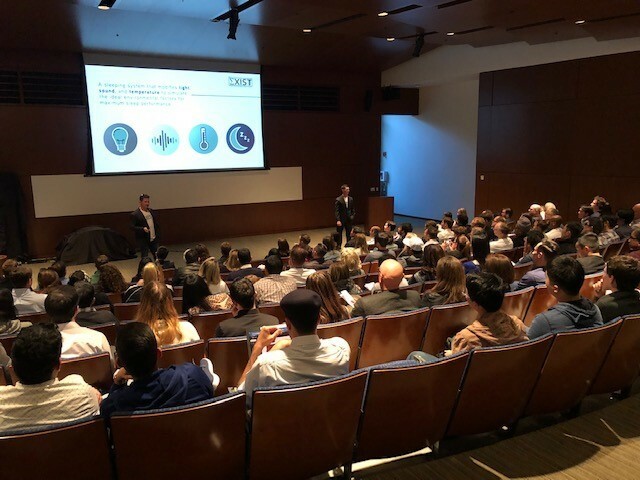 Armed with the knowledge and confidence, the Rady School team of financial experts donned their investment banker personas and headed to Chapman University to face Southern California’s finest business graduate teams in the ACG Cup Finals. After the initial presentation, the Rady School team advanced to the final round, knocking out powerhouse teams including the USC Marshall School of Business and the UCLA Anderson School of Business. Pepperdine University and UC Irvine faced off against the Rady School team in the final round. The team was tasked with expanding on their presentation and were asked rapid-fire questions from a panel of ACG chapter member professionals. Although the team placed second to UC Irvine, judges mentioned that the final score margins were razor-thin. Each member of the team emphasized the value of participating in the competition. Chitneni echoed these statements, adding that he gained valuable personal and professional skills through his involvement with the competition. The ACG Rady veterans hope that their success will inspire more Rady School students to participate in next year’s competition. With these experts backing the next generation of Rady ACG Cup participants, the school can expect the trophy case located in the Student Services office to grow in the near future. Founded in 1954, the Association for Corporate Growth has chapters worldwide representing 14,500 members. ACG serves 90,000 investors, executives, lenders and advisers to growing middle-market companies. ACG’s mission is to drive middle-market growth.